My younger brother Kevin and I spend a lot of evenings talking on Facebook and playing Words with Friends. In one of our conversations I told him I was going to bake a coffee cake but couldn't decided which one of the two recipes I had found online I wanted to make. To Read More, Click On The recipe Title. I picked this one because I liked the idea of individual coffee cakes. I also liked that Chef Spike Gjerde makes this coffee cake for his Baltimore spot called Artifact Coffee. 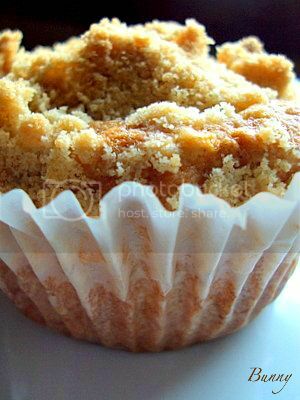 These little crumb cakes are light, feather light and delicious. The streusel topping, the cake ,everything about this recipe is airy and light. I came across a mixing technique in this recipe that I don't think I've encounter before and maybe that attributes to the ( I can't say this enough) lightness. In just about every cake recipe I've made the dry ingredients are combined and then the wet ingredients are beaten together and incorporated with the dry. In this recipe, the dry ingredients are combined, then the butter is added to the flour and slowly beaten until it looks like course crumbs, then the wet ingredients are added. Kinda strange huh? 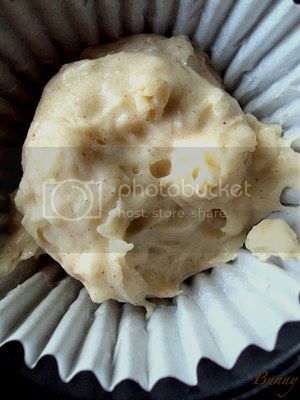 The recipe called for regular muffin tins , these were made in jumbo tins. I filled each tin half full as per the recipe and piled on the crumb topping. It's going to look like you have more topping than cakes, just keep filling the tins with topping . Trust me it just makes the little cakes better. Even though I made these in bigger tins, the bake time stayed the same. After 30 minutes they were golden brown and perfectly baked. Chef Spike Gjerde says he has made these with everything from fresh blueberrys to chocolate chips. I can't wait to try these with blueberries...a little dab of fresh whipped cream and a big ole fork! 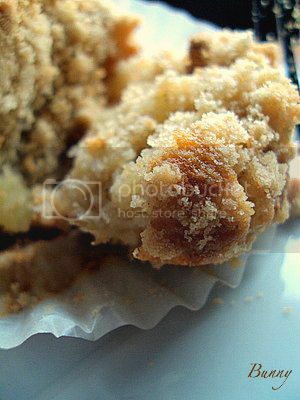 Your gonna love these little Apple Crumb Coffee Cakes! MAKE THE STREUSEL Preheat the oven to 350°. In the bowl of a standing mixer fitted with the paddle, combine the flour with the brown sugar and salt. Add the butter pieces and mix at medium-low speed until the mixture resembles coarse meal; continue mixing the streusel until very small clumps form. 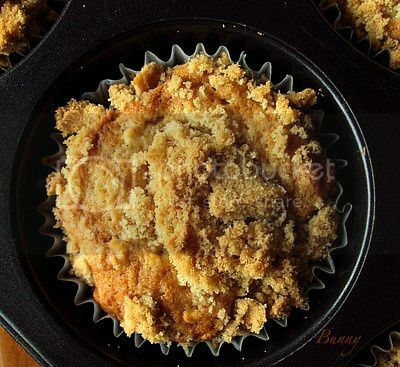 Transfer the streusel to a large plate and refrigerate until it is well chilled, about 10 minutes. 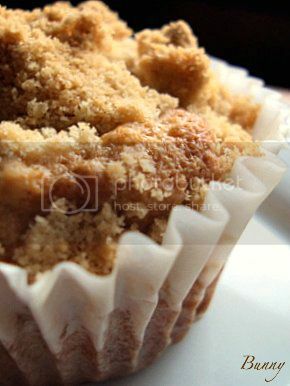 MAKE THE CRUMB CAKES Line 18 standard-size muffin cups with paper liners. Spray the liners with vegetable oil cooking spray. In the mixer bowl, combine the flour with the granulated sugar, salt, baking powder, baking soda and cinnamon. Add the butter pieces and beat at low speed until the mixture resembles coarse meal. Add the sour cream and beaten egg and beat until the batter is smooth. Add the diced apple and beat just until incorporated. 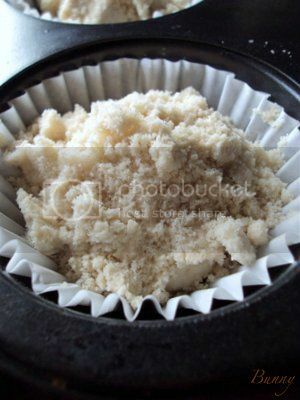 Make Ahead The crumb cakes can be made 1 day ahead and kept in an airtight container. Rewarm before serving. I've tried many a coffee cake and usually like them just because they are dense moist cake...but, ..hey...I'll give thees a try and see if they are any different ...and if we like them ...I'll make again. Lovely! I am going to have to try that mixing method!! I have used this recipe from Food and Wine and can attest to fact that these are absolutely delicious!!!! If you want something really great with your coffee get yourself a piece of guava and cheese coffee cake. Heaven. This looks like a good thing to make today. I like the versatility too. Sorry you didn't care for them BumbleVee, they sure were a hit around here! Maybe with a little tweaking to the topping with some blueberries added would make for a better cake for you. Thanks for trying them. I was looking back at my old posts and found you were one of my first commentors. How did we lose each other?? This recipe looks excellent...I'd love to try it. Fun to have individual cakes. Hey Bunny.... 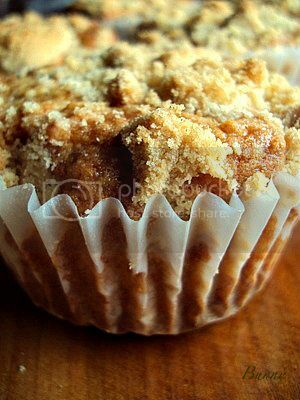 I did make them again.... with my regular streusel topping and it changed everything for me! Doing the happy dance BumbleVee! Very happy that you made them your own and that made the difference!